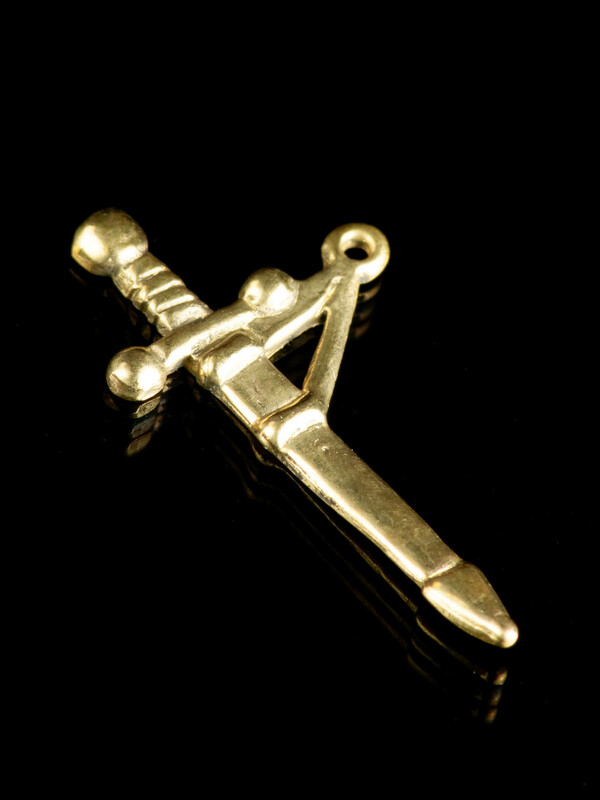 Badge of sword shape was popular in medieval Eruope and could be worn as badge or a pendant by knights, soldiers and their squires. Size: 30 mm long to 20 mm. There is a ring above for attaching to fabric. Based on the copy from archaeological finding from the Netherland. Such badge was very popular in the XIV-XV centuries in Europe. .. 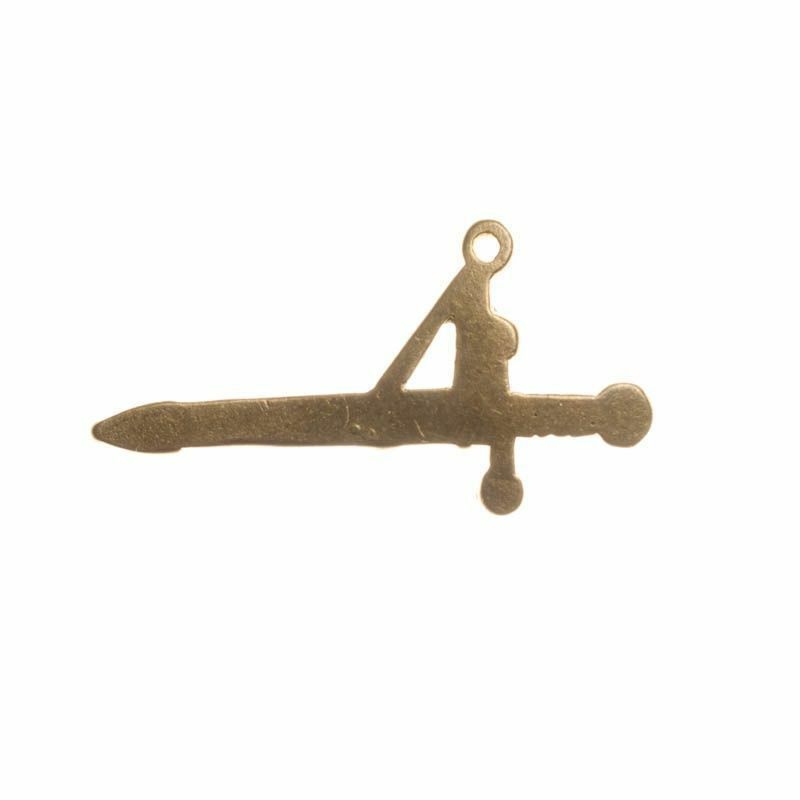 Medieval badge, made of bronze. It was i common use in the medieval times. Letter "A" could have few meanings: "A" for Ltin "Amor" ("Love") or "Ave Maria". ..
Badges with image of Saint Anthony of Padua (XII-XIII centuries) was very popular in the medieval times. 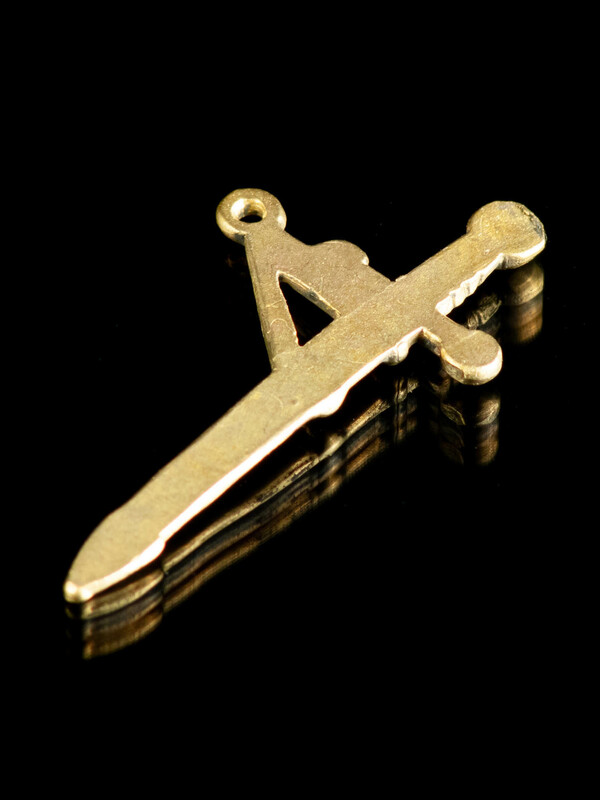 Material: bronze, casting Size: 40 х 30 mm Based on the tapestry fragment, Bas-Rhin, France, Flemish and Burgundian paintings ..
Model of this bronze icon badge is based on the Tapestries of the Life of the Virgin, exhibited in Notre Dame Cathedral, Strasbourg, France. It shows Holy Virgin Maria praying with gothic style arch around her. Size: 40 х 30 mm. .. 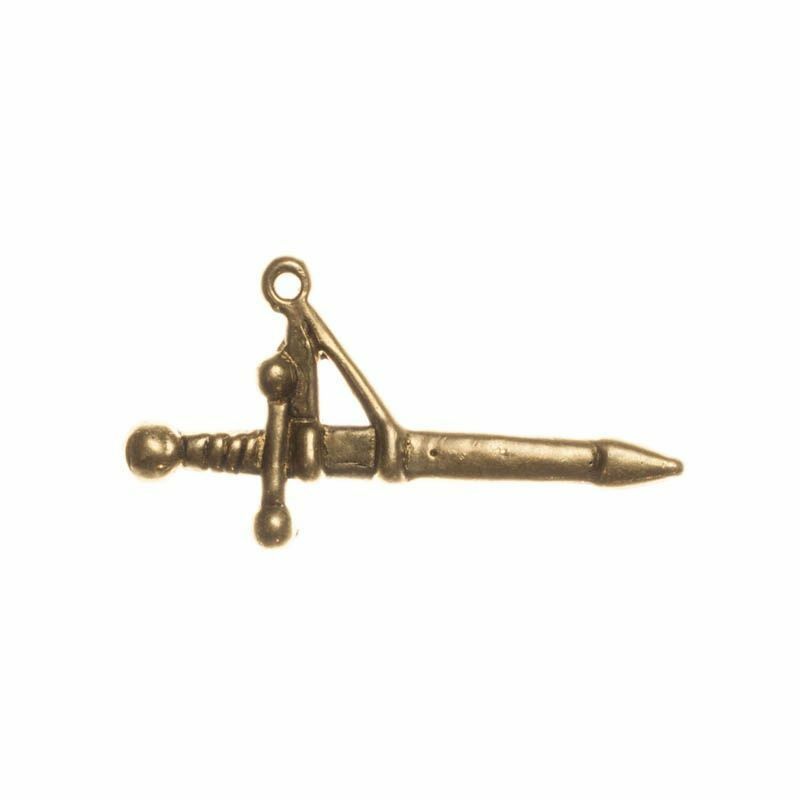 This bronze badge is based on the model that is kept in Victoria & Albert Museum (UK) . There are braiding branches in a circle and knight's helmet in the center. ..